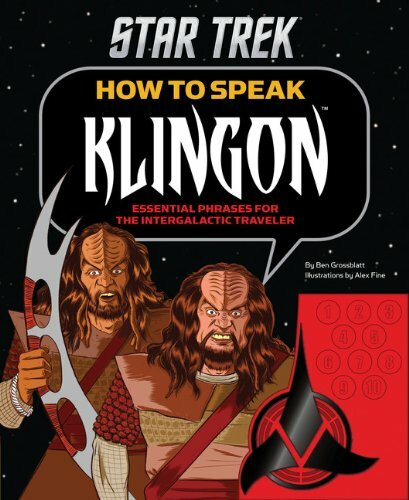 Master the harsh, guttural language of Klingon with this indispensable audio phrasebook. This amusing and enlightening primer on ill-tempered and proud Klingon culture uses a built-in sound module to teach readers an array of crucial compliments (You bludgeon divinely. "), toasts ("Today is a good day to die"), and insults ("Your mother has a smooth forehead") as well as phrases used commonly in intergalactic travel ("Passport? My fist is my passport! "), theatergoing ("Two for Romulan and Juliet "), and more. Illustrated scenarios set the scene and offer additional useful phrases, making How to Speak Klingon an essential guide for any Star Trek(Reg TM) fan."